Donald Mitchell Denniston, age 83, husband to Joyce Dean Porter Denniston, passed away Saturday March 30, 2019 at Compassionate Care Center in Richmond, Ky. Mr. Denniston was born May 25, 1935 in Morgan County, Ky., to the late Leonard & Bessie Helton Denniston. Mr. Denniston was U.S. Army Veteran, an avid U.K. fan, loved flower gardening, loved his fur babies, Dexter, Sammy, Yetti, loved family time and looking at family photos. Other than his parents, Mr. Denniston was preceded in death by four brothers, Alley Denniston, Ishamel Denninston, J.R. Denniston, Harlan Denniston, two sisters Lennie Denniston Ross, Gladys Denniston Fugate and first wife Linda Marie Grice Denniston. 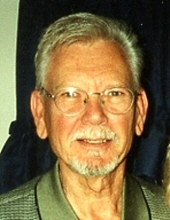 Other than his wife, Mr. Denniston is survived by two daughters, Tonya Gayle Lunsford and her husband Larry, Jr. of Berea, KY., Rebecca McCarty and her husband Jerry of Lancaster, KY., three grandchildren, Leigh-Ann McCarty, Justin McCarty, Jacob Neil Lunsford, three great grandchildren, Lyvee Ann Lunsford, Isabella Rose McCarty, Reagan Olivia Patrick, and lifelong friends Rufus and Karen Miller of Middletown, OH. To send flowers or a remembrance gift to the family of Donald Mitchell Denniston, please visit our Tribute Store. "Email Address" would like to share the life celebration of Donald Mitchell Denniston. Click on the "link" to go to share a favorite memory or leave a condolence message for the family.